2-3 £20.42 ea. 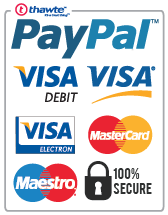 4-7 £20.11 ea. 8+ £19.80 ea. The P Audio PH-305 is a wide bandwidth high frequency horn. 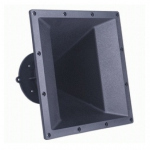 The PH-305 is flare rate optimized for additional mid band acoustic loading. The square mouth allows a rotatable directivity configuration. The PH-305 may be rotated between a nominal 60 degree horizontal and 40 degree vertical pattern to a nominal 40 degree horizontal by 60 degree vertical coverage pattern. 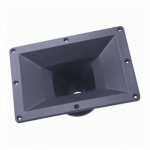 The flat front design allows the PH-305 to be used in modern professional sound reinforcement systems where a flat front system geometry is specified. 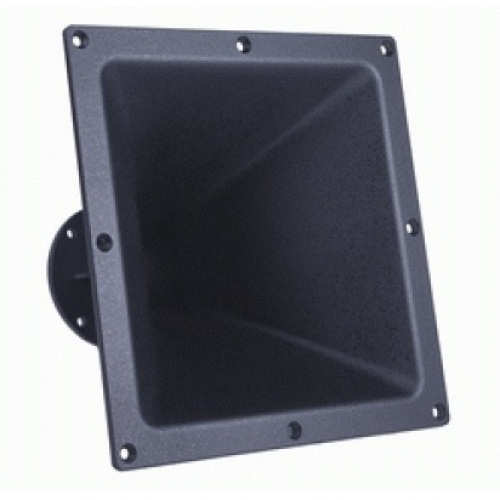 The nominal included angles of 60 degrees and 40 degrees make the PH-305 a very high performance medium to long throw high frequency wave guide. This makes the horn ideal for high Q coverage requirements. The PH-305 features a 1.4 inch (35.5mm) diameter throat and is compatible with many of P Audio's PreNeo and BM-D series high performance compression drivers. The 1.4 inch throat geometry is an industry standard and this makes the horn compatible with many other compression drivers as well. This throat geometry also provides for controlled beamwidth at higher frequencies as well. 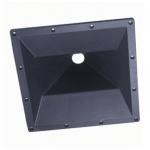 The medium format mouth area and optimized flare rate provides excellent acoustic loading to below 1000Hz, making the PH-305 ideal for wide range and low frequency crossover points. The PH-305 construction is a rugged glass filled ABS and is fully braced to provide excellent structural support to the mated compression driver. 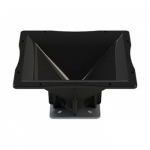 The horn mouth dimensions of 12 inches (304mm) by 12 inches make the horn an ideal mate for both 12 inch low frequency woofers as well as 15 in woofers. 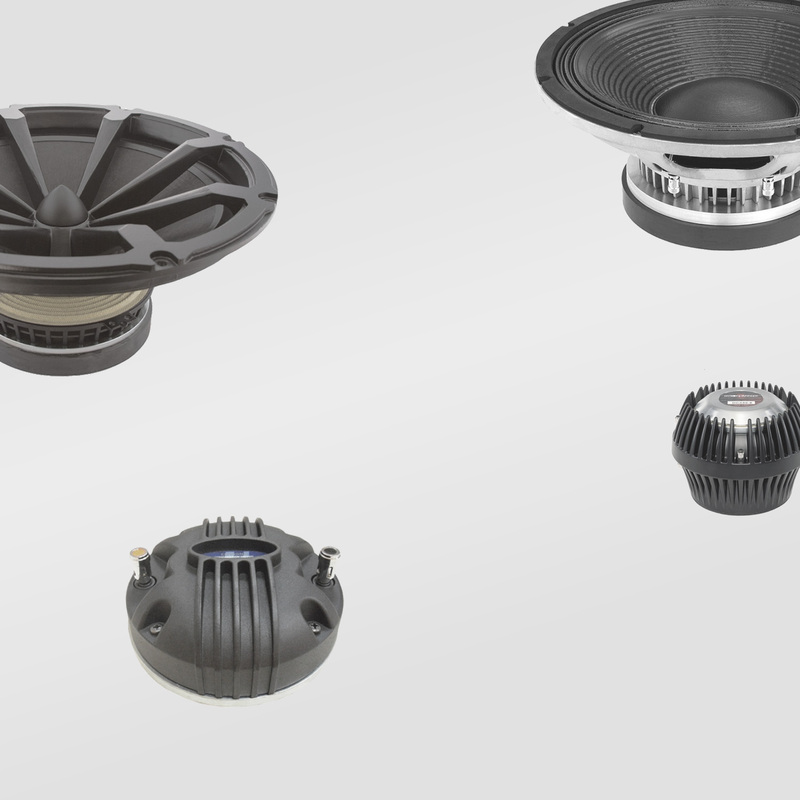 The PH-305 is an ideal choice for professional level two way system designs when additional acoustic loading is required near the compression driver cutoff freuqency. Packing Dimension : 328mm x 328mm x 240mm / 12.9" x 12.9" x 9.4"